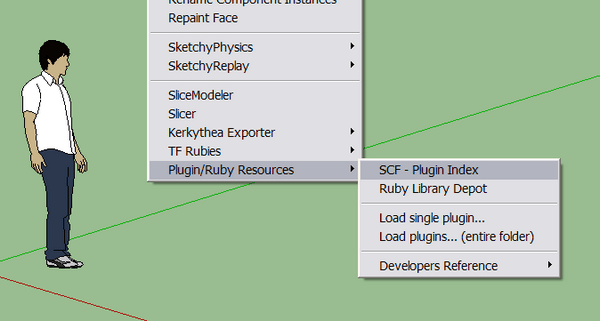 Browse the main web plugin repositories and then load any plugin into SketchUp. Load a plugin from any location (works in a “locked down” computer lab, too). Load all plugins from one folder. This allows you to load plugins “on demand” and by category if you categorize them into subfolders. Have Ruby developer references handy. The developer menu items are all web links. Give this plugin a try and let me know how it works. Download and comment here.